SUPREME COURT ISSUES FAVORABLE DECISION FOR FIRM’S CLIENTS IN SOUTH DAKOTA V. WAYFAIR | Goldstein & Russell, P.C. On June 21, 2018, the Supreme Court issued a favorable decision for the firm's clients in South Dakota v. Wayfair, Inc. Eric Citron was counsel for the petitioners. 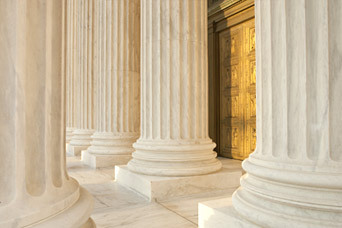 In a 5-4 decision written by Justice Kennedy, the court held that Quill Corp. v. North Dakota and National Bellas Hess Inc. v. Department of Revenue of Illinois -- which held that a state cannot require an out-of-state seller with no physical presence in the state to collect and remit sales taxes on goods the seller ships to consumers in the state -- are overruled. The opinion can be found here.